Fig. 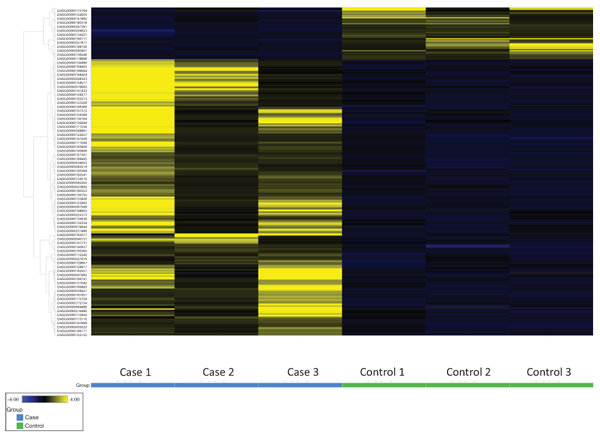 (2) Heat map of clustering analysis of upregulated and downregulated genes in TED cases compared to healthy controls. Individual cases and controls are listed along the X-axis, and differentially expressed genes are listed along the Y-axis.